Dr. Switzer signs applications for students. The applications will go onto be reviewed at regionals and then state. 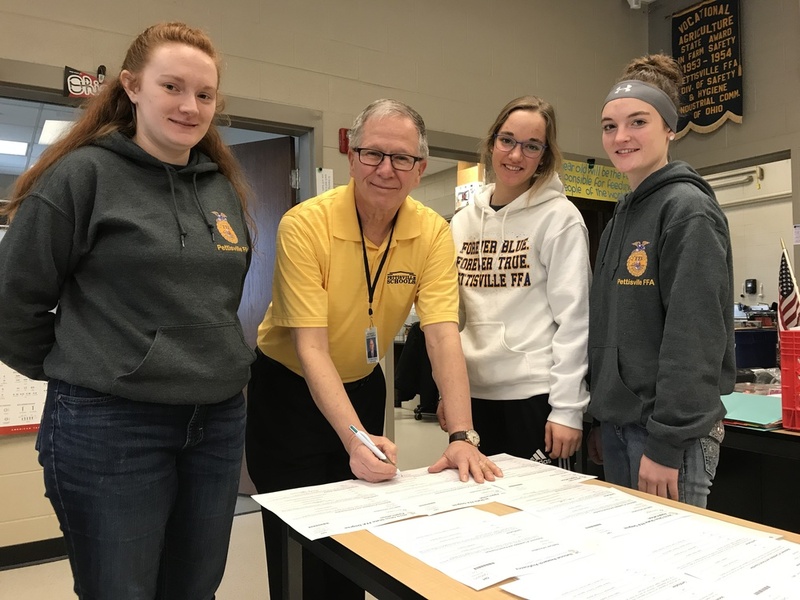 This year 3 students, Liz Beck, Madeleine Wixom, and Kayla Wyse submitted Proficiency applications, which is a review of all years of FFA activity. And 1 student,Kayla Wyse submitted an State Star in Agriscience, which is an award for her work in Agriscience fair and FFA.